Travel Ideology are travel gear specialists. The travel gear you buy will determine how enjoyable your trips are. With Travel Ideology we source and resell ONLY the best travel gear available. Where something is not available, we design and develop it and make it available. If you want to buy travel accessories, Travel Ideology stock what you are after. Better quality, better price and no need to make a trip to a specialist store. We do not stock the low quality gear that is likely to fall apart after a few uses. Why spend your precious time travelling to a gear shop when you could be spending that time travelling in some far away destination? Our staff are extremely experienced travellers and know what makes good gear. The travel products we stock are second to none. You use the internet to do your banking, buy/sell shares, buy your airline and hotel tickets. 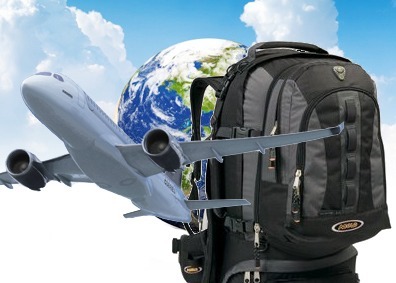 Why not buy your travel gear from Travel Ideology, Australia’s trusted online Travel Store. Buy not having to pay huge sums for Kent St real estate, we can price our travel accessories at realistic prices. We stock travel packs, money belts (and security), travel towels, travel books and guides, organisers, first aid kits, travel pens, torches, knives and multitools, containers and separators, toiletries, sleeping gear, laundry gear, hats and socks, electrical accessories, and many other travel related things. Our range will grow over time. We have ONLY the best travel brands available. Rather than stocking every brand we focus on quality. Most of the brands we stock have actually been used over a number of years by the staff at Travel Ideology. Berlitz | Bradt Guides | Colgate | Eagle Creek | Footprint Guides | Human Gear | Korjo | Leatherman | LED Lenser | Maglite | Mattel | Pacsafe | Power Traveller | Rough Guides | Sea to Summit | SteriPEN | Travel Ideology | Victorinox. Come and visit he Travel Gear Specialists. We are as close as your computer. Don’t get fleeced paying Kent St prices!